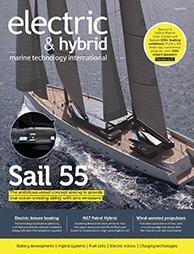 The HQ Silent battery range is Hydrosta’s latest development, driven by the great demand for the company’s electric and hybrid marine propulsion systems. Safety is Hydrosta’s first priority, as reflected in the HQ Silent battery range. In the coming weeks Hydrosta expects the new range to win the DNV-GL safety certificate, further demonstrating the company’s focus on safety. Hydrosta’s electric and hybrid systems are known for their application of high voltages, with an average of 750V. 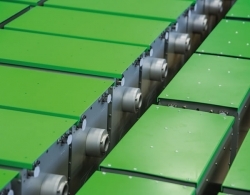 For optimal efficiency, the battery packs for this voltage consist of several Li-ion battery sets connected in series. The HQ Silent battery range is part of a turnkey steering and propulsion system.